You’ve probably seen the movie – but have you read the novel? 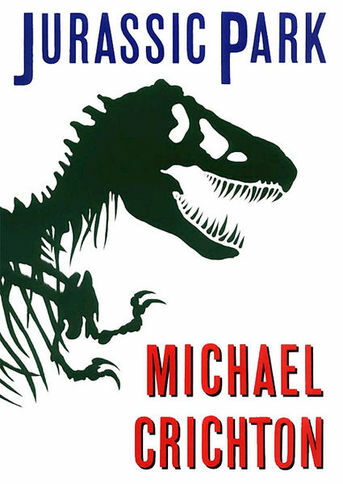 There is so much more detail in the book – the investigation after the little girl is bitten, Alan Grant’s career in paleontology, John Hammond’s eccentric personality, and many more monologues by the philosophical Ian Malcolm. You get to see into the minds of the other characters, like Henry Wu (the geneticist), Mr. Gennaro (the financier), John Allan (the chain-smoking computer guy), and the annoying Dennis Nedry. For those not familiar with the novel or the movie, the characters are part of a team that is dispatched to an island off the coast of Central America, where extinct animals have been artificially re-created. All sorts of things go wrong, and the characters find themselves hiding, fighting, running, and trying to outsmart the animals. It’s hard to put this book down because there is constantly a crisis. My favorite character is Ian Malcolm. His non-stop talking and sarcastic comments about science, chaos theory, and how smart or stupid people and dinosaurs are, added depth to the story. It definitely makes one think about scientific research, and how far is too far.